The news is a-buzz with Wi-Fi 6, the newest, fastest, most reliable wireless solution. 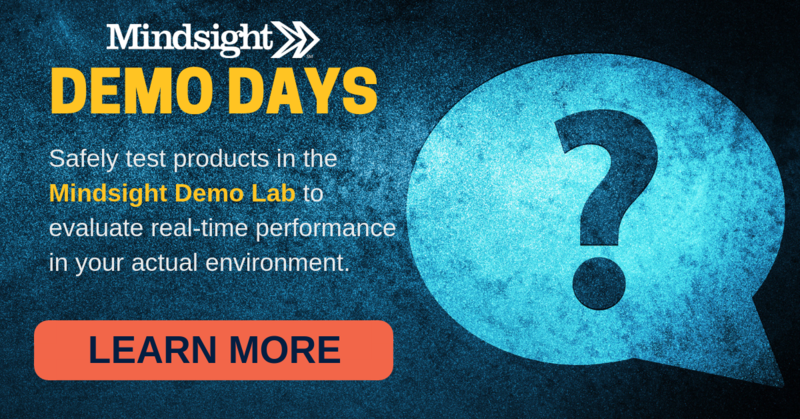 But what exactly is it, and is it something you need to implement for your organization? The Institute of Electrical and Electronics Engineers Standards Association (IEEE-SA) develops the global standards for several industries, including power and energy, information technology, telecommunications, nanotechnology, and many others. The IEEE 802.11ac is a wireless networking standard within the 802.11 family. These standards are commercially known as Wi-Fi and make up the wireless local area networks (WLANs) using the 5 GHz band. Until recently, 802.11ac was the most up-to-date wireless networking solution, known colloquially as Wi-Fi 5. It’s what enables the network’s computers, laptops, printers, and smartphones to communicate and access the Internet without wires (read: wirelessly). 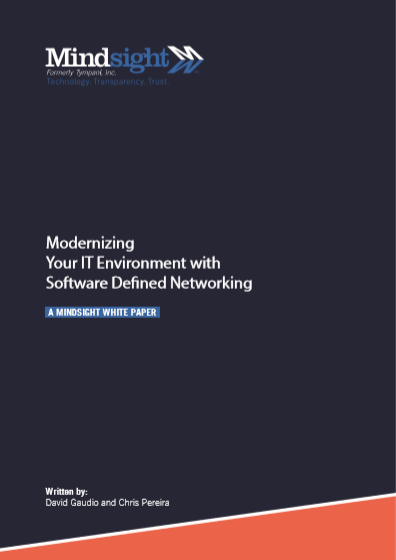 Read about some big changes in networking in our recent whitepaper. The release of 802.11ax – or Wi-Fi 6 – marks a swift shift in wireless networking. It is, theoretically, dramatically faster than Wi-Fi 5, offering the same basic service – Internet connectivity – at 9.6 Gbps (that’s 3.5 Gbps faster than Wi-Fi 5). Whether you’d ever reach or need that speed is debatable; the Verge notes a typical download speed in the US is just 72 Mbps. The rise of the Internet of Things (IoT) and the implementation of BYOD (Bring Your Own Device) policies at businesses around the world means a huge increase in the number of devices connecting to the network. Wi-Fi 6’s increase in speed will enable improved network connectivity for all those devices vying for network juice. How Does Wi-Fi 6 Get Those Speeds? A lot of the technological advances that make Wi-Fi 6 viable come down to router technology. Routers are now able to communicate to multiple devices concurrently and check-in with devices at scheduled intervals. If that sounds a bit like gobbledygook to you, you’re not alone. Thankfully, our writers have brilliant Solutions Architects working closely with them at Mindsight who translated this in no time. It’s faster because the communications between routers and the Internet are designed to optimize connections for multi-device efficiency. While an individual Wi-Fi 6-enabled laptop connecting to a Wi-Fi 6 router won’t be worth writing home about, the enormous growth of home networks will demand the speed boosts offered by Wi-Fi 6. Think about it. Wi-Fi-enabled refrigerators and smart home devices, like Google Home and Alexa, are only the tip of the iceberg. Wi-Fi 6 is optimized specifically for networks with lots of devices. The average US home currently has about 9 Wi-Fi devices, and developments in IoT lend analysts to believe that by 2020, US households will have 50 internet-connected devices. Enterprise organizations, mid-market businesses, and SMBs are all connecting new Wi-Fi devices every day: laptops, printers, smartphones, video streaming, and voice collaboration and conference solutions. Other networking developments, such as multi-gigabit ethernet (aka Multigig), lend themselves well to these Wi-Fi advances. By pairing Wi-Fi 6 with Multigig, your business will have THE latest and greatest wireless setup. Even if you aren’t ready to upgrade your entire network to Wi-Fi 6, there are more approachable switch solutions and networking setups that can work for you. 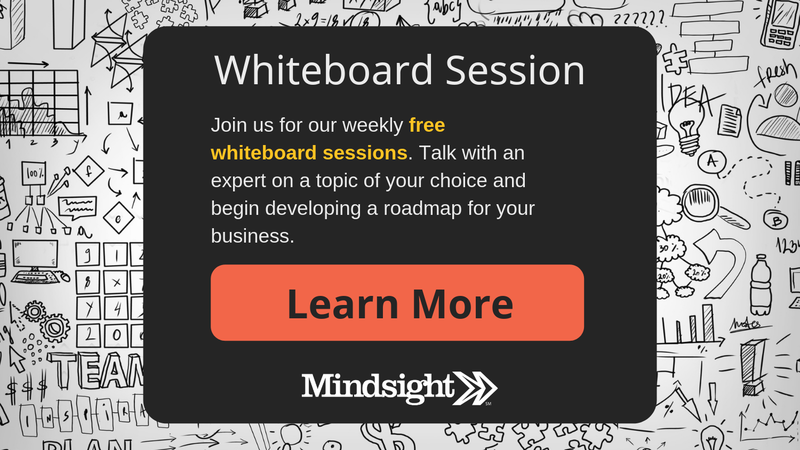 Mindsight’s architects and engineers can talk you through the process in our weekly Whiteboard Sessions. These free discussions center on the challenges you are facing and potential solutions to those obstacles. Register for your Whiteboard Session today. Contact us today to discuss how to improve your Wi-Fi network connectivity.